As an avid foodie, I’m always looking for new, distinct (and delectable) dishes. Over the years of travel, I’ve tried the somewhat exotic – think alligator, cactus salad, and frog legs. In Spain, we enjoyed the freshest of ingredients when given bread (directly from the oven), garlic, olive oil, and tomato, and instructed to rub these together. I’d say it was the best version of bruschetta imaginable. 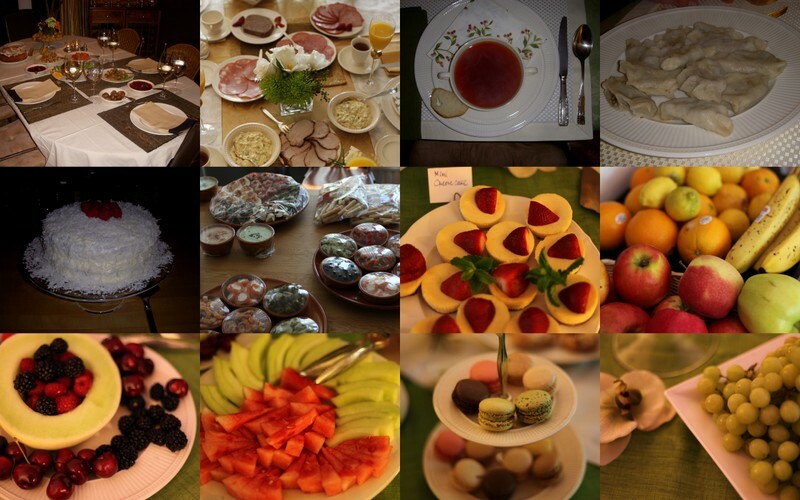 I’ve taken cooking courses and prepared gazpacho, chocolate mousse, roasted chicken and much more. As you can see, my love for food goes a long way. It started when I was younger. My mom suggested we begin to cook together so I could learn authentic Dutch, Indonesian, and Polish dishes. In Holland, my grandma prepared the best garlic butter spread and tomato (with meatballs) soups I’ve ever had. She would spend hours in the kitchen with a huge smile on her face knowing how much joy these dishes brought. In Poland, my grandma created feasts with her magic touch in the kitchen – the perfect balance of spices and rich in taste and smell. My mouth starts watering just thinking about her chicken noodle soup or homemade pierogies. Luckily, my mom passed on many of these great dishes and it’s given me an appreciation for all types of cuisines. Chez Lucienne (Harlem, W. 125th) – My mom and I stumbled upon Chez Lucienne one afternoon and haven’t stopped visiting it since then! This small, but cozy French bistro offers the best in French cuisine and is only 4 minutes away from my apartment. Yes, it’s slightly dangerous to find a restaurant so close by that you love. The food here is deliciously prepared (never had a disappointing dinner) and is a sort of refined comfort food. The service is always friendly, they offer great promotions throughout the week (Monday is steak night, Thursday is fish night) and there is live music on Fridays & Saturdays! TAO (Midtown East, E 58th) – This converted movie theater turned Asian restaurant not only has great decor and ambiance, but also some of the best Asian fusion you will find in the city. Expect to be wowed by the towering Buddha, a reflecting pool with fish, and 3 levels of dining floors. Tip: If you’re out with a group, split a few appetizers/entrees and experience a bit of everything. Blockheads (Several locations) – There isn’t anything fancy about Blockheads, but this Mexican food place is decent and quick. It’s popular among young professionals and the drinks are interesting (if you’re feeling crazy have a “bulldog” – a margarita with an upside down beer). PURE Thai Cookhouse – You can’t get more Thai than this place. PURE Thai is cozy and a little gem among locals. Don’t expect immediate seating on the weekend (it’s crowded), but the wait is worth it! Fresh ingredients, fast service and great pad Thai! Red Rooster (Harlem, W. 125th) – Right next door to Chez Lucienne, Red Rooster boasts great American southern comfort food with an elegant twist. Though reservations are almost a must, you can get lucky by grabbing a drink at the bar and waiting for a table. Amazing variety of food, nice service and a friendly, cozy atmosphere. 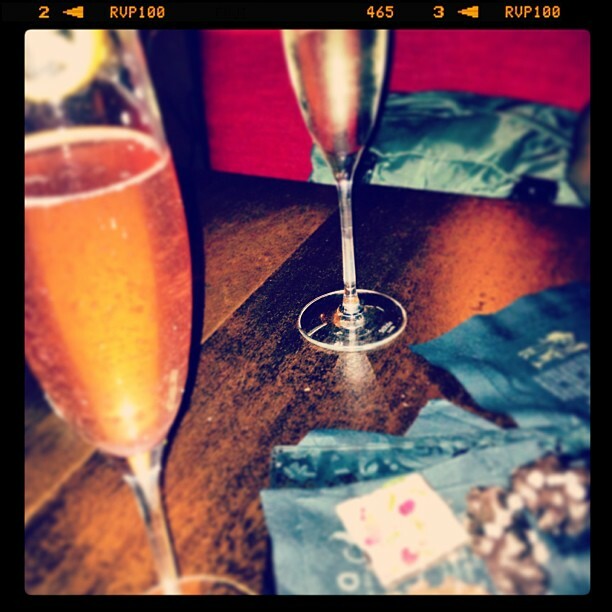 Ayza (several locations) – If wine and chocolate sound like a stellar combination, Ayza is the place to be! With its intimate setting it’s the perfect spot for a night with friends or a date! The chocolate is anything but ordinary – try fun combinations with fruit or nuts or caramel while sipping wine! Essex (brunch) – If you love brunch (let’s be honest…who doesn’t? ), Essex offers a decent, affordable option on the Lower East Side conveniently close to the F line on the subway. You’ll find young local professionals there in groups sipping mimosas or Bloody Mary’s and enjoying various options from the menu. One minor detail: it’s cash only! Speakeasy fun: Apotheke/Angel’s Share. NYC has plenty of bars around, but why not go somewhere unusual or difficult to find? That’s where Speakeasy’s come into play! Try a fancy cocktail of the freshest ingredient combinations for a night. Good tips! My wife is from New York but hasn’t lived there for 20 years. Last we went we were lost for eating options…I’ll keep this list for the next time. Thanks, Frank!! Much appreciated! I highly recommend all of these places…so much great cuisine in NYC! Hey there! Thanks for stopping by! Pure Thai is indeed a great place 🙂 what are some others you’d recommend? Oh gosh Nicolette, there are so many. My repeats are mainly in Hells Kitchen. Been to Pure more than 30 times. Larb Ubal is new and even more authentic than Pure IMO. lately I cant get enough of Mercato (love Italian). The new ippudo is great. I have an entire HK list here.. Thanks for sharing and for sending over that list! Will need to check out those places. Much appreciated! That’s the beauty of NYC – so much to see and experience and always plenty to visit!